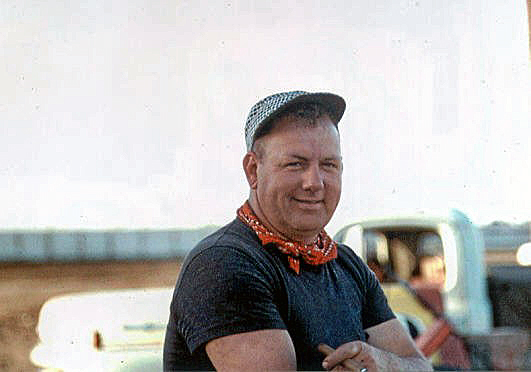 Cedar Rapids, Iowa (August 11, 1957) - Johnny Pouelsen of Gardena, Calif., Sunday thrilled 4,000 fans by setting a new 5-lap International Motor Contest Association (IMCA) world record in big car races at Hawkeye Downs. Pouelsen severed an eight-year standard by 1.04 seconds in winning the special All-Iowa Fair dash in 1 minute and 59.96 seconds. The former record-holder was Emory Collins of LeMars, Iowa who turned the distance in 2:01.00 Mason City on May 30, 1949. Pouelsen's performance earned most of the plaudits at the opening race event of the fair, but Buzz Barton of Tampa, Fla., took home the big cash prize by romping to an easy victory in the 20-lap feature race. Barton almost was almost a record breaker himself. 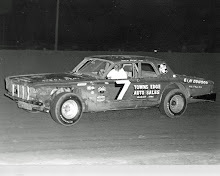 He was less than a second away from the IMCA 20-lap record of 8:22.47 held by Don Carr of Indianapolis, Ind. Barton battered the Downs oval with a time of 8:23.45 to finish far ahead of 13 other drivers. 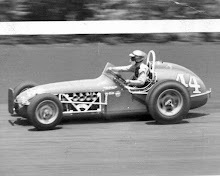 Vern "Speed" Chamberlain of Seattle, Wash., finished second, almost a half-track behind Barton. Pouelsen was third. The finish among the first three drivers prevailed during the entire race as Barton churned into a fast lead, which turned out to be insurmountable after the opening five laps. 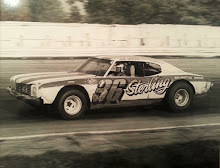 Chamberlain, who won the time trials with a half-mile clocking of 22.31 seconds, gave Barton a run for his money early in the race but dropped back and most of the fans conceded the win to Barton as early as the 10th lap. 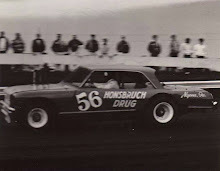 Red Amick of Muncie, Ind., finished fourth and Red Hoyle took fifth. 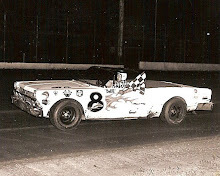 The latter, a popular Cedar Rapids native who now makes his home in Colona, Ill.
Pouelson won the eight-lap consolation to join Barton as a two-time winner. Other winners included Chamberlain in the first heat and Frank McGowan of Salem, Ore., in the third heat. Second Heat: Buzz Barton, Tampa, Fla.
Third Heat: Frank McGowan, Salem, Ore.
Special Dash: Johnny Pouelsen, Gardena, Calif.
Herschel Wagner, Hickman Hills, Mo. Al Sherman, Van Nuys, Calif.
Al “Cotton” Farmer, Houston, Tex.